Music is a fantastic way to help your child grow. There are many articles out on the web about the importance and benefits of a musical education, and that's not what this post is about, but I hope you will think seriously about what music can do to enhance your child's life. One of the reasons parents stop music lessons for their kids is because getting kids to practice can be hard and not fun. We get tired of the constant battle and ultimately decide it's not worth the fighting. I'm going to share some things we've done in our house to help cut down on the fighting and make practicing less of a chore. As a side note, I'm not a 'tiger mother'. 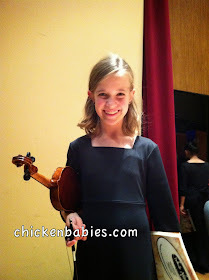 I don't expect my kids to be concert soloists and make a career from their awesome skills. My goal in having my children musically trained is that it will enrich their lives and give them an outlet to express themselves and opportunities to serve others through performing. I don't believe in yelling and pushing and forcing until your kids are about to break. Music Education has been an important part of my life and my children's lives, and I hope these ideas will help you as you try to help your child learn a musical instrument. Starting formal music lessons when kids are too little works against you. I think most teachers say they're ready to read music when they're ready to read books. You can still teach basic music concepts, such as fast/slow, high/low, and have them match pitches and rhythms, but wait on the instrument playing until their a little older. I started Maren on piano when she was 4 1/2. I was crazy. It wasn't worth it. I started Christopher when he was 6 1/2. He learned much easier and with less crying. If you want to give your kids an early start in music, sing to them. A lot. Here are my 2 boys before a choir concert. Singing is a great way to start music education. For my beginning pianists, I've always found it more helpful to set a number of times they had to play each song than to set a number of minutes to play. If I set a timer, they sit on the bench and fool around. If I tell them they need to play each song 3 times, they get to work. (for my older kids, I still do a number of minutes) It's also important to patiently practice with your child when they are first learning. I like to set out a container for them to fill with beans. Each time they play through a song, they put a bean in the jar. When the jar has reached a certain point, they get a prize. Also, another thing I've found is that however you have them practice, set clear expectations. 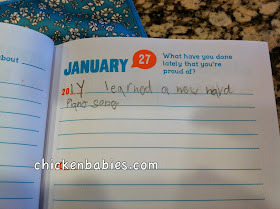 For my older kids, they know how long they are supposed to do scales/warm ups, how long to review songs and what songs to review, and how long to spend on new songs. This helps focus their practicing time. I love sticker charts. I just do. Make a chart. Let them put on a sticker when they're done practicing. Reward for a filled up chart. Good stuff. The teacher my children have also rewards them for completing books or memorizing difficult songs. She's big into incentives. Maybe that's why I like her so much. Eventually, rewards will become more intrinsic as kids learn the joy of making music and learning hard things, but when they're little they need a push to help them get there. which makes me a very proud mom! We play this game when my kids are trying to polish something for a recital or competition. I set out 10 chocolate chips (pennies can also be used). They play through their song. Each time they make a mistake, I take away one chip. At the end of the song, they get to keep whatever chips remain. Sometimes with the older kids, I only set out 5, or I only set out 1 thing but it's bigger, like a starburst. That way they have to play the song perfectly in order to get a reward. And I've been known to take chips away for missing dynamic markings too. This is highly motivating for my kids for some reason. It's not like they're sugar deprived. Usually I have them practice the song many times before I come in to do the game. When they know they're practicing to get ready for this game, their practicing is much more careful and focused. It's good stuff. This tip is for when your kids are older and you're no longer practicing with them. Don't yell from the other room every time you hear a wrong note played. It's so hard when you're trying to learn something new to have someone constantly point out when you mess up. It just ends in frustration and makes the child not want to practice when you're listening. I've learned this from experience. I used to yell from the kitchen all the time when I heard a missed note or repeated mistakes. My kids would just get angry at me. It wasn't helpful. I've learned to just wait for them to ask for help. Sometimes I can't wait, and then I'll ask "Do you want some help with that?" and they'll either tell me yes or no. Then I can go in and help without upsetting them more. If you do need to correct something, tell them what they are doing right first. Say something like "I like listening to you play. I wonder how it would sound if you tried adding in dynamics?" or "That sounds like a fun piece and I like how you are working on it slowly. Are you sure you're getting the notes right in that second measure though?" Maybe this isn't your style, or you think your kids don't need coddling and you just tell them bluntly when they're doing a bad job. That doesn't work for my kids, especially my second child. He takes it personally when I point something out that he's missed, so I always try to do this. If my child is not responding well to correction at the time, I just let it go. I let it be between him and his teacher and let her fix it and their next lesson. Your child needs to want to learn to play a musical instrument. When they are little, expose them to lots of great music. Take them to concerts. Play music in the car. Show them that making music is fun. Children naturally love music, but lose the enthusiasm when practicing becomes a chore. Sometimes a break from an instrument is necessary. I know one boy who after a break from his piano for a while found he missed it and wanted to start taking lessons again. When he restarted, it was because he was interested in learning, not because his mom was making him, and practice time went much better. At the beginning of the year, I told Maren (age 11) that I was not going to comment on her violin practicing at all unless she asked me for help. I was turning the responsibility for learning her songs before her lesson over to her, and if she didn't work hard then the consequence would be an upset teacher at her next lesson and if things got really bad, we would stop paying for her lessons. This made Maren really think about whether or not she wanted to be playing the violin. She decided she did (thankfully) and has been much more independent in her practicing this year. Of course this could have backfired and she could've just quit. I'm glad that didn't happen. Probably in that scenario we would have just switched her to a different instrument. 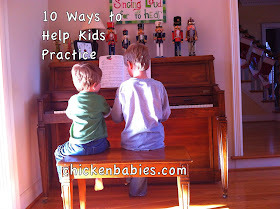 In the past, whenever my son would start fooling around on the piano during his practice time, I would yell at him to get back to playing his assignments. I really regret that. It's important to let them experiment with their instrument. Let them play around and see what different sounds they can make. Let them play their songs with weird rhythms, or in different octaves. They're still learning about the instrument that way. They're being creative with it, and that's important. Music is not just about learning to play others work, but about creating your own music as well. Now when my son starts fooling around a bit, I let him. I enjoy listening to his creations. If he is taking a REALLY long time fooling around, I'll redirect him by asking "Do you know all the songs Ms. Ivy asked you to learn?" and he'll start practicing them again if he hasn't. But let your kids play around a bit. It's not going to hurt them and it will help them enjoy their instrument more. I know not everyone has time to learn a musical instrument, but if you have one in the house and have a few minutes, let your kids see you sit down to practice. Show them how you fix your mistakes. Tell them how it makes you feel when you're learning a new song. Learn a duet together. Or have your child teach you what they are learning. About two years ago I wanted to take piano lessons. I started taking a few from my children's teacher here and there after my kids' lessons and would practice at home. I gave it up because I just didn't have time like I wanted, but I still sit down and play through songs when I have a minute. I know it's made an impact on Joshua. He has asked me when I'm going to start taking lessons again and has tried to play through some of the songs I'm working on. I know he likes listening to me practice. This is probably the single most important thing we've done to cut down on the crying at our house over practicing. Practice time is so much easier than it used to be because it has become a habit. Our kids know that they don't get to do other things before their practicing is done; no tv, no video games, no soccer practice. They need to practice. It's just what we do. It took a while to get to this point, but it's so nice now that we're here. Don't yell at them to practice. Just don't do it. Yelling is never helpful. If they choose not to practice, then they choose to miss out on things, and that's just their choice. They may cry and wail and gnash their teeth when they have to miss out on something because they didn't get their practicing done on time, but you just shake your head and sympathetically say "I know. I'm really sad you don't get to go either. I wish you would've practiced. Next time I'm sure you will not make this mistake." We had to do this a few weeks ago when Maren procrastinated her violin practicing and ran out of time before her activity. She begged and pleaded and asked if she could practice extra the next day, but because I had warned her when she got home from school that she would not be going if her practicing was not done, I felt I had to stick with my position. She was so angry, and there was much crying and door slamming. But later she came and apologized and recognized it was her own fault she didn't get to go. A few days later when Jason warned her to have her practicing done before an event, she responded "Don't worry Dad. I know. I learned my lesson." We'll see how long it sticks . . .
We ask our kids to practice every day except Sunday and the day their lesson is on, so 5 days a week. This has been enough for us. Our kids still play piano on Sunday, because they want to play the hymns and enjoy making music, but it's not "practice time". It's just making music. When Christopher (our 3rd child) started learning piano, he knew that practicing was just part of the deal. It has been so easy to have him practice because he's seen his two older siblings do it. He sees that it's part of our family culture and doesn't fight it. It's been great. How do you help your child practice? I'd love to hear your comments! Thanks Uncle Tracy! It is a challenge to figure out how to get kids to want to practice and take ownership of their instrument, and it's probably different for every child. I gave up violin too, when I was 16, but found I missed it and started taking lessons again in college. I'm hoping it doesn't take as long for my kids to figure out they want to learn music. Great tips, Erin! They're so good I want to share them. Thanks! This is a great post! One thing that has been fun in our family is letting the kids teach the eachother. But I guess it's not really part of their everyday practice routine, it's more as a result of it. Whenever Sam or Mort learn a song by ear they want to teach their brother. Thanks Angela! That is fun when the kids can start teaching each other. Teaching is a great way to solidify what you've learned. Thank you, Angela, I love this post! I wish I had seen it when I was a piano teacher, because it would have been great advice to give parents. We gave our daughter piano lessons for her seventh birthday and have decided to have my husband teach her (besides being a very gifted musician, he's also much more patient!). But I will be the practice maven for her and our other four children, so I will keep your great tips in mind! 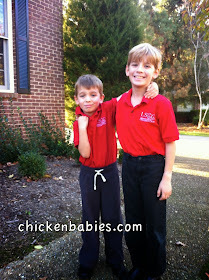 I'm featuring this at the After School Linky on Monday. Oh, I'm sorry.. your name is NOT Angela! I was looking up above at the previous comment. Sorry, Erin! Haha. No problem! Thanks so much for the nice comments and for the feature! !